Product Details-Ingredients-Corn, Chicken, poultry meal, soybean meal, chicken oil, full fat soybean, brewer dried yeast, liver digest, lecithin, fish oil, iodized salt, vitamins and minerals, antioxidants and food colouring. 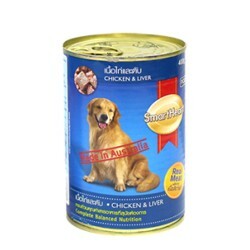 Flavor-Chicken and liver flavor, Food-Wet Food(Tin), Suitable-All Breeds of Dogs,Quantity-400 Gm. 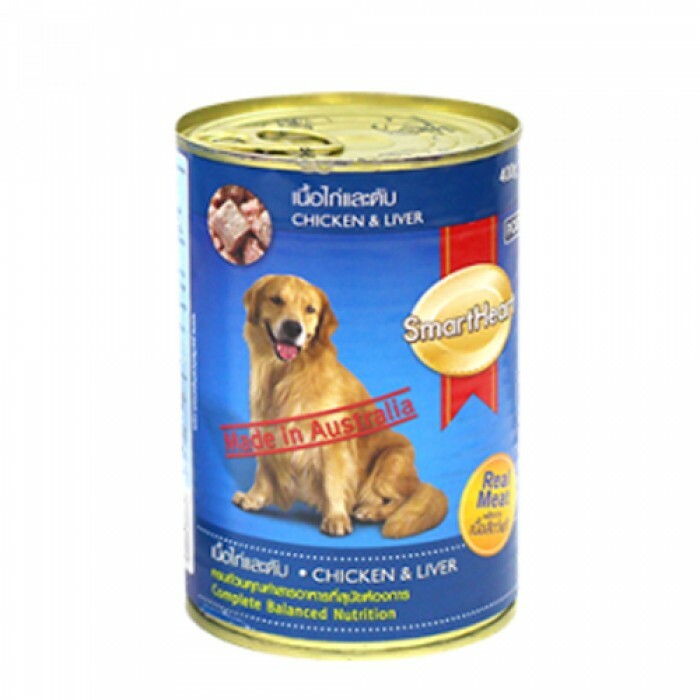 Product Information-Smart Heart Chicken - Liver Canned Food is suitable for adult dogs of all breeds 12 months onwards. This product is a complete and balanced nutritious food that provides a delicious meal. It contains all essential nutrients that help the dog to stay healthy and strong.